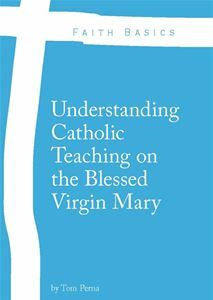 The two radio segments from my interview on the Blessed Mother and New Evangelization on the Mike Allen Show from June 5, 2013 are now on my Radio Interviews page of this blog. My interview begins at 12:25 in segment 1 and goes till 11:05 in segment 2. Hope you can listen to them and share the link with others. If you know of Catholic radio stations here in the United States or across the globe that would be interested in interviewing me, please have them contact me at catholictom at gmail dot com. Teaching the Catholic faith on the radio is very exciting!